When he was in the ninth grade, Dr. Kip was part of the wrestling team. One day after warm-ups, he experienced pain. “I noticed that my neck really hurt. Within a few days, pain developed in my right arm as well.” Within a week, the pain became unbearable, so much so that Dr. Kip was unable to sit at a desk to do his homework and sleep through the night. He also found it difficult to hold his head upright and, of course, to wrestle. 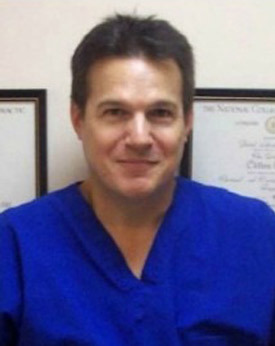 Dr. Kip completed his undergraduate studies at Duquesne University and obtained his Doctor of Chiropractic from the National University of Health Sciences. Dr. Kip is passionate about helping his patients who were not getting results from traditional chiropractic care. “I love to help those individuals by making them better and keeping them well.” He uses a variety of highly effective techniques that he learned in school. His patients love the new techniques that he uses, particularly the Impulse® adjuster, which help them feel better quicker. When he’s not at the practice, this father of four loves spending time with his family and attends his children’s various sporting events. Dr. Kip enjoys being able to talk to other parents about the benefits of chiropractic. He served as the team chiropractor for one of his son’s college hockey and lacrosse teams. Always happy to volunteer his services to anyone who gets injured, Dr. Kip also enjoys giving his opinion about conditions and what people can do to find improvement. He also likes walking, playing sports, hunting and archery. Dr. Kip is a member of the Pennsylvania Chiropractic Society and the American Chiropractic Association. Frustrated by not getting the results you desire from traditional medicine? We want to help you experience relief and healing, naturally. Contact us today to schedule a same-day appointment!